The AppCapture SDK was designed to be lightweight and easy to integrate. To get started, download the SDK and follow the integration instructions below. 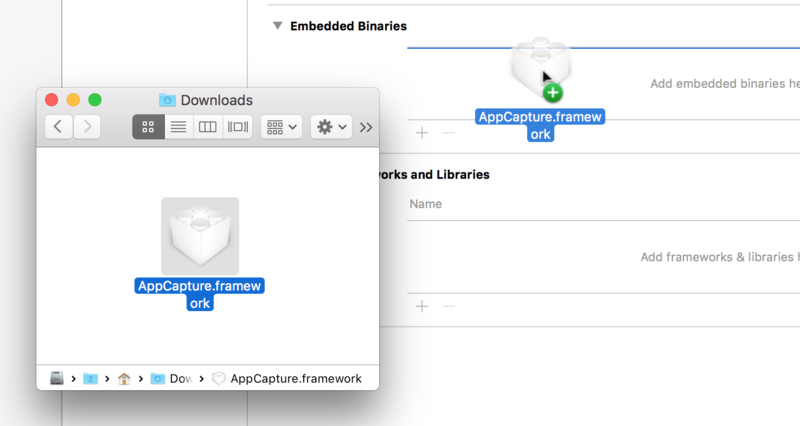 Add AppCapture.framework to your project. Select your project in the "Project Navigator". Select your app's main target from the list of targets. 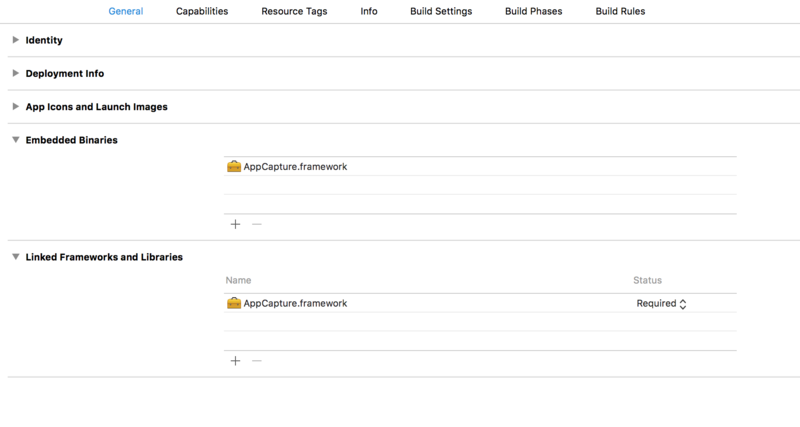 In the "General" tab, drag AppCapture.framework into the "Embedded Binaries" list. 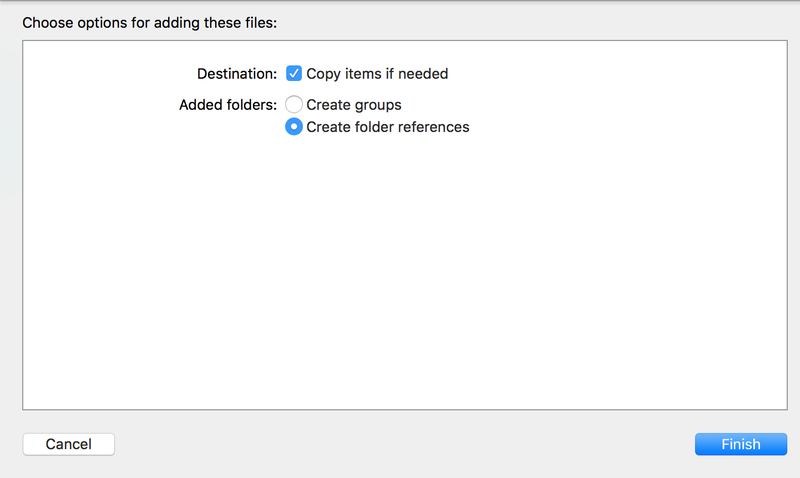 Important: When prompted, make sure to select "Copy items if needed" to add the files to your app target. The framework will also automatically be added to "Linked Frameworks and Libraries." Click to expand the "Background Modes" section. Toggle "Background Modes" ON if not already set. The code below includes your token. Copy it into your AppDelegate and you're ready to go. Distribute your app as you normally would using ad hoc distribution or TestFlight. You may want to send your users details on what kind of feedback you're looking for. Your videos will show up on your UserTesting Dashboard. AppCapture supports iOS 8 and above. Does UserTesting require any code to activate? Yes. Just the two lines of code above. Will my app run in the simulator after integrating? Yes, but recording will not work. To record you must run the app on an iOS device.